It's a great day to check out the Paper Issues blog. 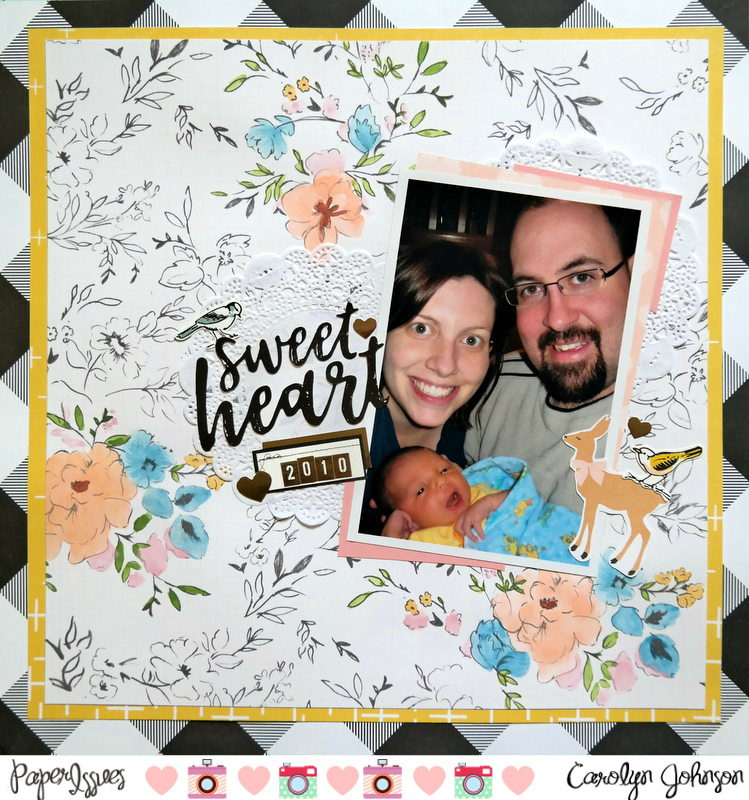 We are featuring layouts using the Maggie Holmes "Gather" Collection. There are so many papers and embellishments in this collection, you really can't go wrong. I chose this baby picture for the colours and the fact it is one of my fav's and it still isn't scrapped. I really wanted to paint these flowers. I didn't want to do the whole page because then it would look like any other patterned paper. But it was so much fun it was hard not keep painting. I will definitely be trying this again. I used watercolour paints. Be sure to link-up your Gather layouts in the Facebook Friends and Fans group for a chance to win a gift certificate to the Paper Issues store! Crate Paper: Maggie Holmes "Gather"
Thanks for stopping by! Don't forget the Paper Issues Store has the Gather Collection and lots of other good stuff. Use the code Carolyn at checkout to save 20%.